Systemd is an alternative service manager to the more traditional init system. To ensure the system is healthy, failed units should be investigated on a regular basis. Sooner or later a unit might fail and showing up the systemctl listing. In this article we have a look at how to solve it. During the start of the system, enabled services are started and queued to be executed. 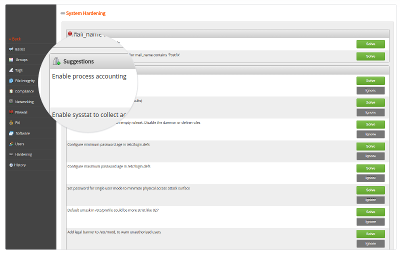 Most processes will start correctly and systemd logs the related status in the journal. However, in some cases a service might enter a “failed state”, as a result of another command not finishing properly. Services usually fail because of a missing dependency (e.g. a file or mount point), missing configuration, or incorrect permissions. In this example we see that the dev-mqueue unit with type mount fails. As the type is a mount, the reason is most likely because mounting a particular partition failed. Nov 23 17:53:10 localhost.localdomain systemd: Failed to mount POSIX Message Queue File System. Nov 23 17:53:10 localhost.localdomain systemd: Unit dev-mqueue.mount entered failed state. This shows the related command which was executed. We see the unit failed on exit-code as it was not the expected value of 0 (actually it is 32). Manually running the command shows the device /dev/mqueue is missing. Nov 23 16:08:48 localhost.localdomain systemd: Failed to start Ipmievd Daemon. Nov 23 16:08:48 localhost.localdomain systemd: Unit ipmievd.service entered failed state. Nov 23 16:08:48 localhost.localdomain systemd: ipmievd.service failed. You can manually clear out failed units with the systemctl reset-failed command. This can be done for all units, or a single one. Services which are no longer needed, are better to be stopped and disabled.